Josh Saks is a highly accomplished actor from Australia who is best known for his performances in the films, Face to Face, Moonlite and Phoebe (selected officially for the Newport Beach International Film Festival), in CA. He is talented, dedicated and extremely passionate about his craft. 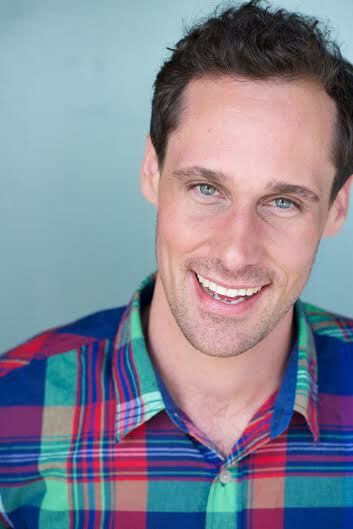 When Josh narrowly missed acceptance into NIDA (National Institute Of Dramatic Art) in Australia, his determination took him to LA where he attended the famous Baron Brown Studio specializing in the Meisner technique taught strictly in line as intended by Sanford Meisner. He then complemented his skills with with classes at the Ivana Chubbuck Studio. This brilliant actor has also completed improvisational comedy training at Upright Citizens Brigade in LA. Growing up, British comedy is what developed Josh’s love for performing as he recollects his father watching Monty Python and Faulty Towers and other great British comedies. At ten years old, he developed a huge liking for acting and performing , which today, he has managed to convert into a successful career. He recently began filming Deadline Gallipoli produced by the amazingly talented Sam Worthington another fellow Aussie. He will play the role of Army Physician, Dr. Matheison. He recently wrapped up filming the NBC pilot The Pro alongside Rob Lowe in which he played the role of a US open doubles finalist. For Josh, this was a chance to also show off his tennis skills. His versatility in the roles he plays, are reflected from his stupendous performances in theatre productions, including The Outsider, The Importance of Being Ernest and Nine Types of Ice. He has also featured in many commercials including the national campaign for the AFL (Australian Football League) in Australia. In television, he has appeared in the successful series Rush, which then helped him land a role in the film, Face to Face. This film was screened at the Melbourne Film Festival and bagged many awards at festivals across the world including Best Independent Feature at the world famous Santa Barbara International Film Festival. In Josh’s home country of Australia, this film was celebrated with an AACTA nomination along with a handful of IF Award nominations, including Best Actor nomination for Josh Saks. Throughout his astonishing career, Josh has worked with some brilliant and incredible directors around the world and is making Australia proud with his success in the US. Josh has a couple of projects on the horizon which he is looking to lock down and for now, are being kept under wraps . Josh draws a lot of his inspiration from other successful Australian actors who have conquered Hollywood in the world of acting, including Geoffrey Rush, Russell Crowe and Cate Blanchett. This handsome Aussie guy has a huge future in the world of acting. If you have heard of the band Side Effect then you must be familiar with these pop-punk musicians. With their rocking performances they just don’t stop amazing their audiences. 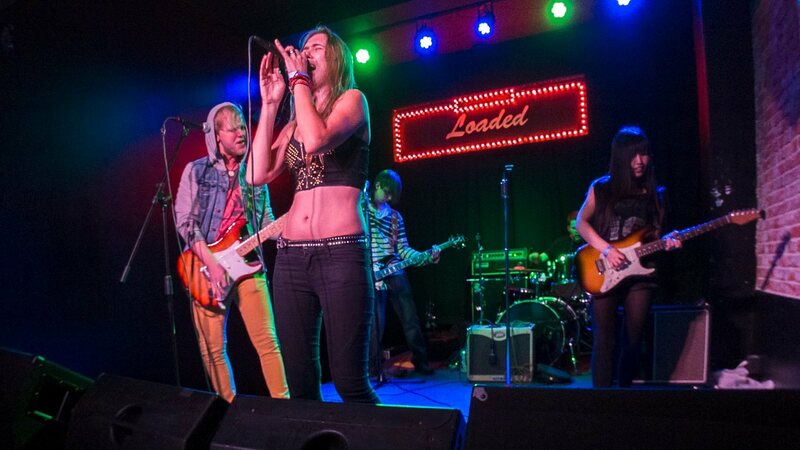 Los Angles has many fantastic musical acts and the band Side Effects Front woman Kapri Dabrowska is no less than a gifted musician and songwriter. Kapri is so much into her music that she moved to Los Angeles to pursue her dreams from her homeland Poland. She believes in team effort and hard work. Isn’t it amazing to find out that this versatile performer wished to get into performing ever since she was a toddler? She has always kept herself immensely close to music and this is evident from the big list of inspirations she draws upon from the music world. Her mother encouraged her to take vocal lessons and she attended music school. Growing up her musical influences ranged from Spice Girls to Guns n’ Roses. The world of classic rock, grunge and hard rock became more a part of her life when she was eleven and here she was inspired by Led Zeppelin, Aerosmith and more. Still later came pop-punk and she got smitten by this type of music drawing inspirations from Green Day, Sugarcult, Less than Jake, Yellowcard, Good Charlotte, Mest, Sum-41, Blink -182 and many more. members including Jim Shaw (bass), John McLucas (drums), Hisako Ozawa, and Jimmy Luther (guitarists). So, it seems the world of pop-punk is all set to roll with the band Side Effects. If we were to guess the favorite performance of this talented musician, then it is the semi-finals of Battle of the Bands for Rock On The Range. Her craze for music made her attend Musicians Institute in Hollywood and her versatility is seen from her writing all types of music and performance across various genres. industry. So far, this seems to be working in a big way for this gutsy rocker from Poland! The world of entertainment has some brilliant artists who by their passion give some amazing performances. One such artist is Australian dancer, model, actress and presenter Stacey Kenealy. This gorgeous star from Queensland has immense passion for the entertainment world and this is what makes her so accomplished in this field. She finds herself lucky to have a career which offers her an opportunity to combine her love for performing with her zest for travel. With a fantastic dancing background running for a decade, Stacey has set foot in the world of modeling and acting. She is regarded as one of the most popular performers in Australia. Her works across the field of television, films, commercials, stage and theatre, fashion and modeling will leave anyone spellbound as the list is absolutely mind blowing and filled with rich experience. In television she has appeared as a dancer in ‘X factor’, ‘Hey Hey it’s Saturday’ with Human Nature’, ‘Sunrise’ with Human Nature’ and Moulin Rouge -PARIS to name few. Her film work covers Dance Academy and Goddess Film. She has alo done lot of commercials which covers names like Coca Cola, Nike, Diesel, Korean Exchange Bank TVC, Toyota Ritz TVC, Australia’s Next Top Model and more. Stacey is a perfect example of someone who rightly knows to combine the skills in various fields like dancing, modeling and acting. She is a thorough professional and has worked around the world which comprises of places like Italy, Paris, Belgium, Moscow, Malaysia, Thailand, Singapore, Dubai, New Zealand, Philippines, and Malta and the list goes on. She truly understands the importance of fitness and lives an extremely healthy lifestyle. Let us look little bit into how this amazing artist got into the field of performing. Stacey started dance classes at the age of four as she watched her sister dancing at her local school. Then she participated in her first Eisteddfod tap dancing to “Rubber Ducky”. She had her first taste of the professional world at the age of 12 when she booked her first international gig performing in a children’s show produced by Millennium Entertainment in Dubai. This experience opened her eyes to having a career that would allow her to blend performing and travelling. She is highly inspired by Jennifer Lopez and considers her as female powerhouse who has mastered all fields in the entertainment industry. Stacey has trained intensely in all styles of dance like Jazz, Hip Hop, Lyrical, Contemporary, Tap, Classical and Acrobatics and her preferred style is jazz or more particularly commercial jazz. In acting, she has done a number of short courses to get a feel for different styles and techniques. Some courses include NIDA and under the direction of renowned Australian acting coach Sandra Lee Patterson. Her personal favorite role to date was performing in Paris and touring internationally with The Moulin Rouge. Her other career highlights include, dancing with Ricky Martin and Jessica Mauboy at the Australian NRL grand final 2013, performing with Australian pop group Human Nature, and performing with various artists on reality music television show The X Factor. Recently she loved shooting for David Jones’ Autumn/Winter Brand book, and being the face of Lipton Ice Tea for their Australian and New Zealand campaign. One of her most recent projects was in Europe, where she performed alongside Australian R&B and Pop artist Jessica Mauboy and recently shot for a campaign for international active wear brand Lorna Jane. For the future, this beautiful performer wishes to continue working and broadening her depth of work in Australia and her career ambition is to move to the USA and work with the best artists in the industry. For the aspiring performers she gives advice on the benefits of being an all-rounder and also remaining humble, kind as well as respectful to the peers. Mark Sipple is a highly versatile actor who has given some brilliant performances in television, films, short films and theatre. He was immediately employed in television alongside other well-known Australian actors including Alex Dimitriades, Tom Long and Justine Clarke after graduating from the prestigious Theatre Nepean in Sydney, Australia with the likes of Yvonne Strahovski and David Wenham. This super successful and talented actor has quite an impressive list of training under his belt. He attended National Institute of Dramatic Art (NIDA) for Acting Techniques (2011). He also went to University of Western Sydney (Theatre Nepean) for Bachelor of Arts (Acting) (2002). He also completed Advanced Audition Technique for Musical Theatre – Queenie Van Der Zandt (2011). 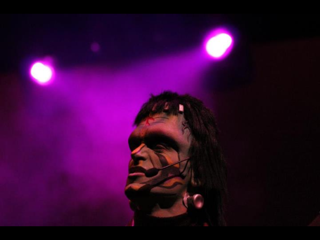 Mark took a break from acting to finish his Business Degree and returned to performing with Universal Studios in Japan as a singing and dancing Frankenstein. He moved to Singapore after performing for a year in Japan to continue working with Universal Studios and he was also a part of a kid’s band called The Playground Craze, which released their first music video in 2014. Since the year 2007 he has been performing musical theatre and these credits cover Daddy O’s, Monster Rock, Into the Woods, Rainbow Circus, Universal Monsters, Parade De Carnivale, Summer Special Show, Corporate Special Show, 4th July Consulate Party, Magical Starlight Parade, A New Brain and Fairytale Superstars. He has been active in theatre since 2001 and his theatre credits include The Farnsworth Invention, All Mylove Paul, The Tempest, Fear and Misery of the Third Reich, The Possibilities and Titus Andronicus. This brilliant performer contributes to various fields of the entertainment world with his remarkable performances. In television, he has appeared in Australian Idol, Go Big, Jessica and Forensic Investigators. As far as TV commercials are concerned, they cover Halloween Horror Nights 4, Rainbow Circus and Allphones. Mark has also appeared in music videos and was in the short film, Human, Must Be Artist, Rewind and Present Tense. He also has musical recordings lined up for (2014) and subsequent tours of Australia and New Zealand which are planned and selling fast for 2014/15. This popular actor has a huge future ahead of him with his extraordinary talent!